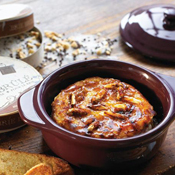 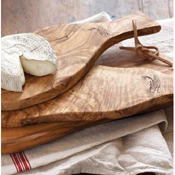 A beautiful gift, designed to help serve and enjoy fine cheese. 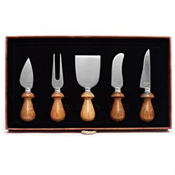 Our beautiful cheese knife set features four rosewood handled knives with durable, stainless steel blades, each shaped for use with specific type of cheese. Accompanied by a serving fork designed for spearing crumbly cheeses, this is a beautifully presented gift for the cheese lover! 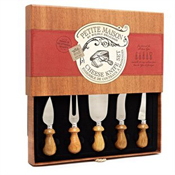 A narrow-bladed knife cleanly slices pieces from blocks of semi-soft and semi-firm cheeses such as Brie, Camembert, jack and Jarlsberg.